The word Keisotsu is a title of honor that translates as ‘excellent soldier,’ a credit to the level of commitment expected of these foot soldiers. 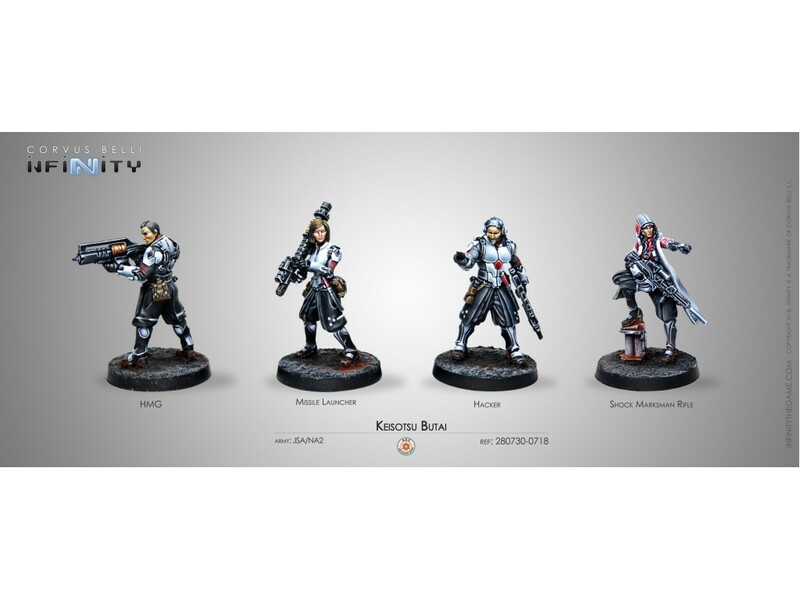 This box includes four miniatures: a Keisotsu with Missile Launcher, a Keisotsu with HMG, a Keisotsu Hacker and one Kempeitai with Shock Marksman Rifle and Multispectral Visor Level 2. These troops are the backbone of the Japanese armed forces and the crux of their operational doctrine.